Save 50% on a Whale & Wildlife Watching Tour, only @ Eagle Wing Tours in Victoria! Soak up the wild side of our Island's marine life with Eagle Wing Tours: Victoria's Top-Rated, Locally-Owned & Operated Whale Watching team, dedicated to making every experience unforgettable! Add to Cart: $139.00 50% off just $69.50 for a Whale & Wildlife Tour, only with Eagle Wing Whale Watching Tours in Victoria! Eagle Wing Tours is proud to be Canada's first 100% Carbon Neutral Whale Watching company! View more of their efforts, awards and honours. Experience a world-class marine adventure, and get as close to the elements as you feel like by choosing from our fleet of open or closed boats! See for yourself - check out their YouTube video! Discover wildlife such as Orca Whales, Humpbacks, Minke Whales, Seals, Sea Lions and more, as you explore the mysterious and enchanting waters. A great outing for the whole family - Eagle Wing Tours is excited to showcase all that the abundant Salish Sea has to offer. Get your IDDeal and call to book with Victoria's #1 attraction! 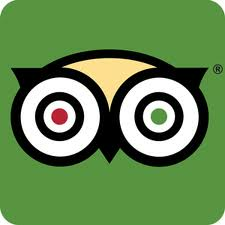 TripAdvisor has voted Eagle Wing Tours #1 since 2007! Focusing on delivering every guest into the supernatural realm of the Salish Sea, Eagle Wing Tours introduces you to transient and resident Orca Whales, Humpback Whales, Minke Whales, Seals, Sea Lions, and the diverse variety of local marine animals that fondly call Victoria, B.C., home! "Incredible orca encounter. The captain knew exactly where to take us to see the local orcas up close, and was respectful of the rules of engaging with them. The onboard guide was an incredibly passionate advocate for orcas and I learned so much and was so inspired by him. A lifetime highlight experience!